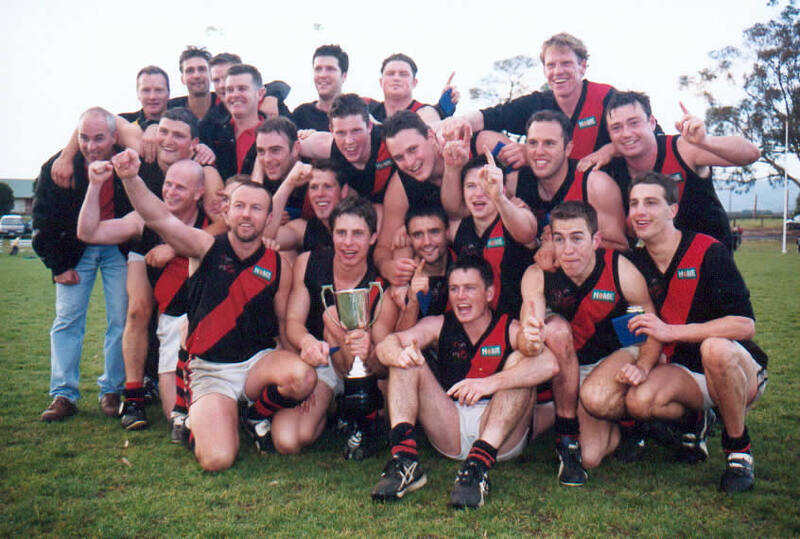 Team: David Brown, Adam Burton, Ashley Dickson, Zennon Eaton, Luke Ferns, Kalev Jones, Steven Kilby (vc), Luke Kennell, Lloyd Mash, Luke McCreery, Andrew McHugh (vc), Craig McKay (c), Mark Minney, Chris Moyle, Gavin Neville, Lucas Paul, Grant Pittard, Lachie Richardson (c), Jimmy Stirton, Matthew Tallack, Mark Walker. 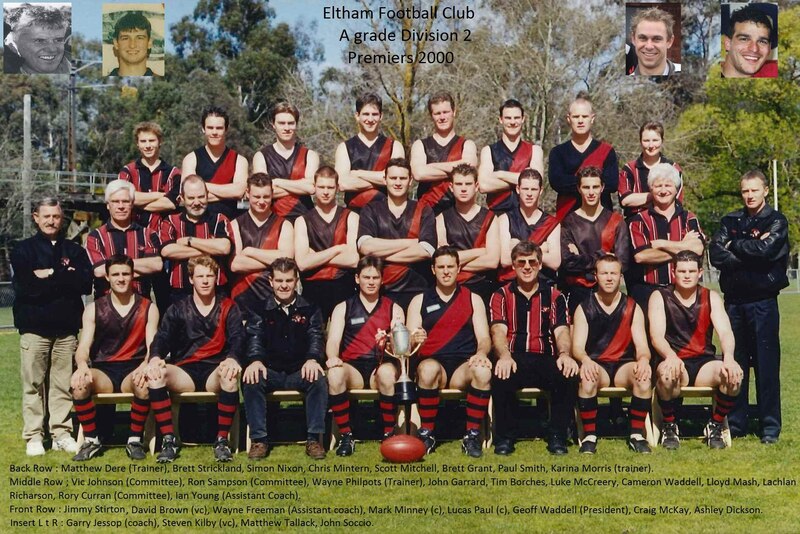 Team: Tim Borchers, David Brown, Ashley Dickson, John Garrard, Brett Grant, Steven Kilby, Lloyd Mash, Luke McCreery, Craig McKay, Mark Minney (c), Chris Mintern, Scott Mitchell, Simon Nixon, Lucas Paul (c), Lachie Richardson, Paul Smith, John Soccio, Jimmy Stirton, Brett Strickland, Matthew Tallack, Cameron Waddell. 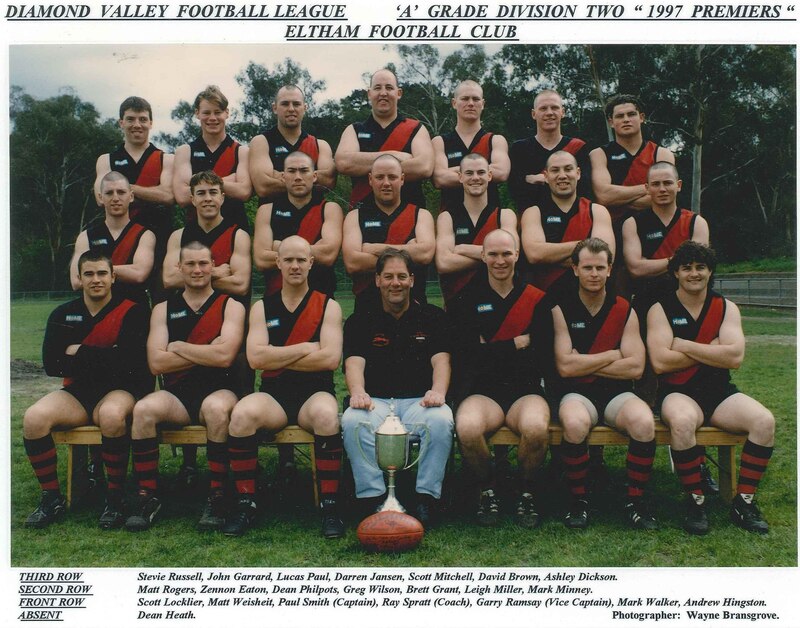 Team: David Brown (dvc), Ashley Dickson, Zennon Eaton, John Garrard, Brett Grant, Dean Heath, Andrew Hingston, Darren Jansen, Scott Locklier, Leigh Miller, Mark Minney, Scott Mitchell, Lucas Paul, Dean Philpots, Garry Ramsay (vc), Matthew Rogers, Steve Russell, Paul Smith (c), Mark Walker, Matthew Weisheit, Greg Wilson. Team: Eddie Almatrah, David Brown (vc), Scott Gathercole, Matthew Glenn, Craig Haydock, Darren Jansen, Corey Jewell, Steven Kilby, Scott Locklier, Paul Lynch, Mark Minney, Scott Mitchell, Joel Moran, Simon Nixon, Daryl Ramsay, Garry Ramsay, Steve Russell (vc), Darren Sinclair Paul Smith (c), David Streat (vc), Gary Thomson. 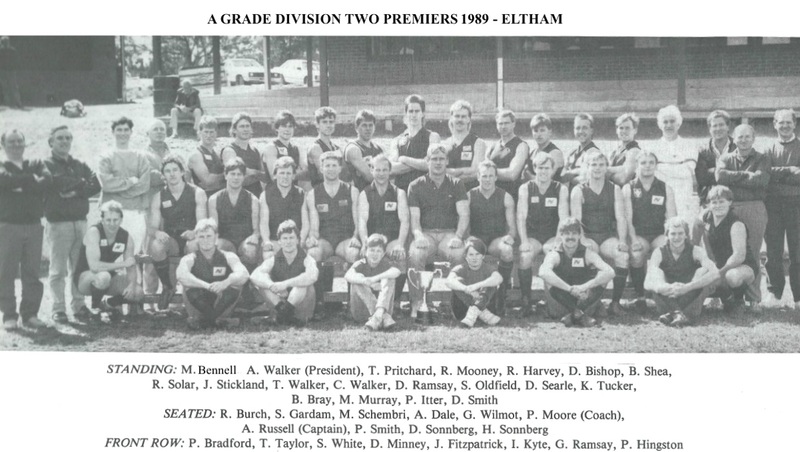 Team: Darren Bishop, Rohan Burch, Andrew Dale (vc), Shane Gardam, David Harvey, Paul Hingston, Ian Kyte, Sam Oldfield, Garry Ramsay, Andrew Russell (c), Matthew Schembri, Brett Shea, Paul Smith (dvc), Robert Solar, Dean Sonnberg, Jamie Stickland, Anthony Taylor, Cameron Walker, Travis Walker, Grant Wilmot. Team: Mark Amery, Robert Barton, Gary Crick, Andrew Dale, Warren Deards (c), Sandy Hyslop, Glen Irving, Greg Jenkins, Mark Jones, John Jonklaas, Anthony McFarlane, Darren McLaine, Wayne Meade, Peter Mekking, Stan Mitchell, Michael Murray, Andrew Russell, Mark Sinclair, Wayne Snelson, Steven White. 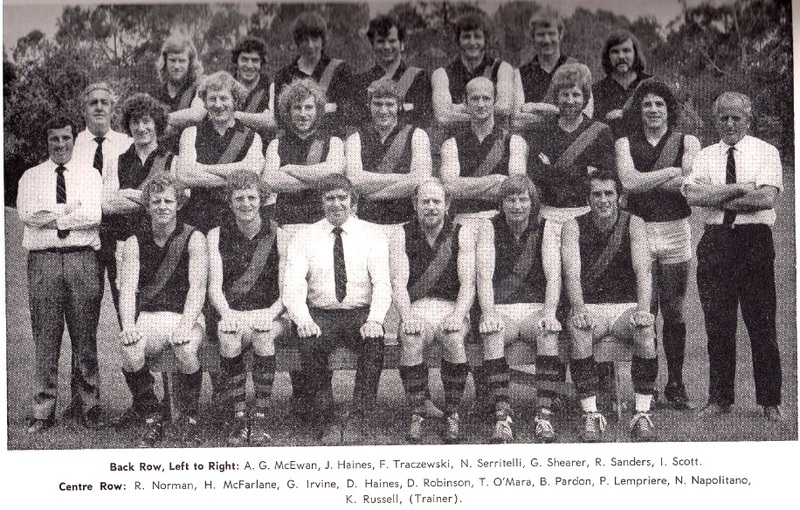 Team: Glen Bond, Rodney Bray, David Brown, Pat Buckley, Trevor Dawson, Peter Headen, Greg Irvine, Peter Lempriere, Trevor Leslie, Ron Ling, Peter Lowe, Bernie Massey, Brian Pardon, Alan Quaife, Ken Rowbotham, Reg Sanders, Graham Shearer, Don Stanley, Frank Traczewski, Adrian Withers. Team: Rodney Bray, David Brown, Brian Driscoll, Ron Fitzpatrick, Jim Haines, Dennis Hayes, Greg Irvine, Peter Lempriere, Nick Napolitano, John Newnham, Terry O’Mara, Brian Pardon, Alan Quaife, David Robinson, Ken Rowbotham, Reg Sanders, Ian Scott, Nassa Serritelli, Graham Shearer, Frank Traczewski. 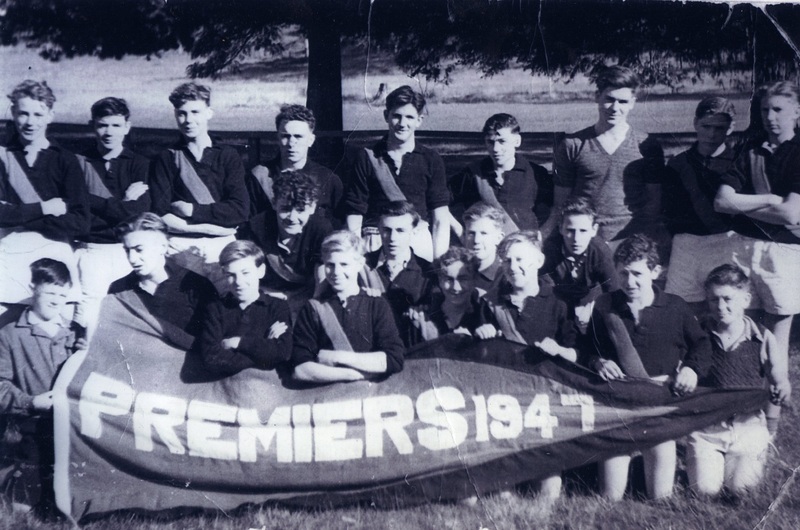 Team: Alan Anderson, Michael Annett, John Birthisel, Rodney Bray, Barry Capuano, Ron Fitzpatrick, Greg Irvine, William Irvine, Brian Pardon, Robert Pettigrew, David Robinson, Stewart Rothwell, Robert Scott, Nassa Serritelli, Noel Spoor, Cliff Stewart, John Walker, William White, Bruce Wright, Robert Ziebell. 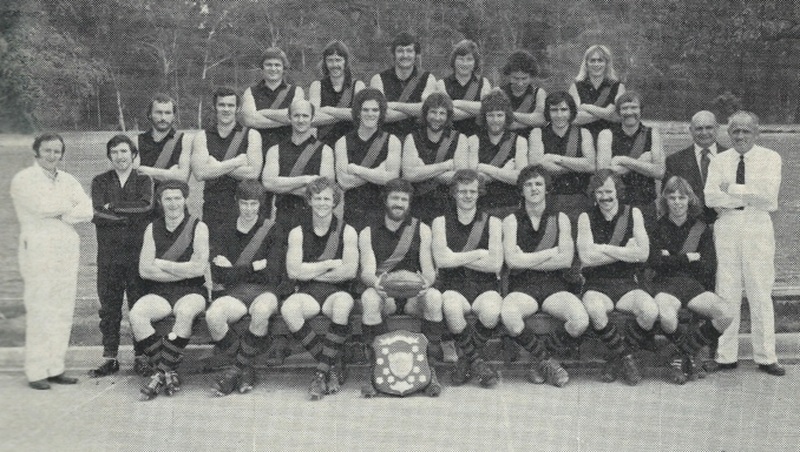 Team: Alan Anderson, John Birthisel, Rodney Bray, Greg Burgess, Barry Capuano, Ken Davis, Ron Fitzpatrick, Ian Graham, Terry Haines, Greg Irvine, William Irvine, Alan Moyes, Brian Pardon, David Robinson, Robert Scott, Nassa Serritelli, Cliff Stewart, William White, Adrian Withers, Bruce Wright. 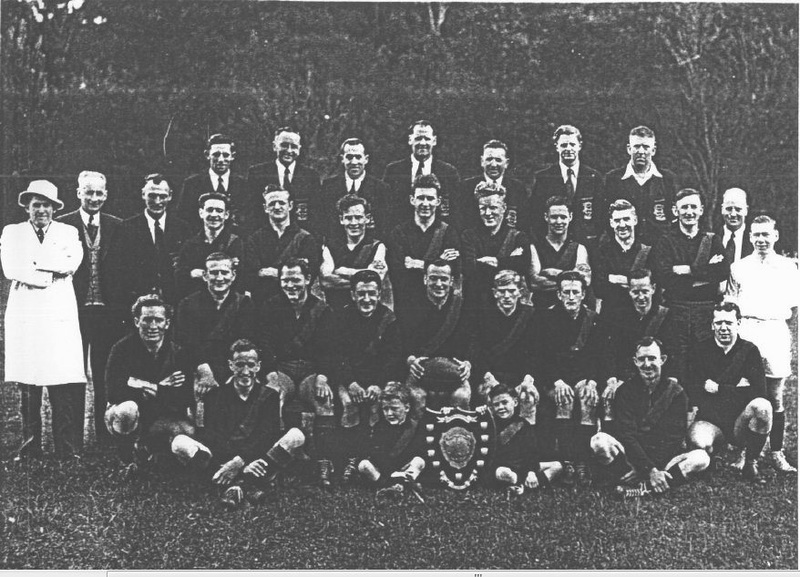 Team: Robert Anderson, Harry Barrett, Stan Bennett, Kevin Boyle, John Bradford, William Deards, Alfred Dearing, Anthony Devine, Raymond Devine, Hec Edwards, Albert Fry, Keith Headen(c), Max Jarrold, S Jones, Roy Kelly, Ed Mapperson, Lindsay McColl, White, Harvey Morris, Ron Schultz, Kevin Toohey. 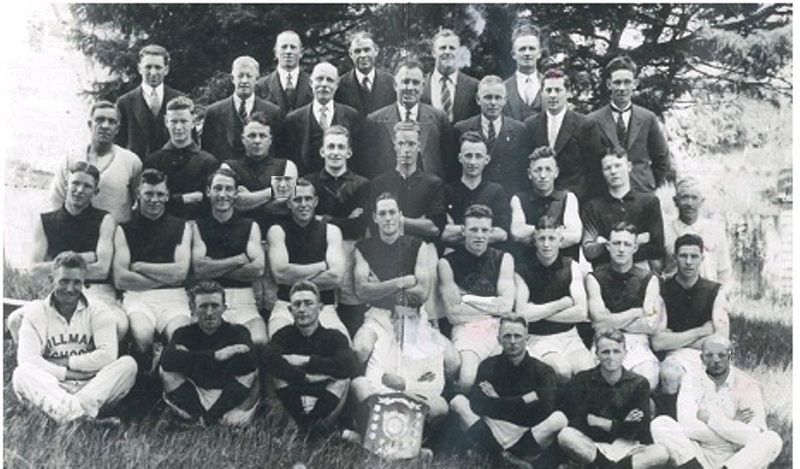 Team: Robert Anderson, Harry Barrett, Harry Bradford, Ron Corbet, Anthony Devine, Raymond Devine, Hec Edwards, Doug Fisher, Albert Fry, Jack Harding, Gordon Hunter (c), Max Jarrold, Ed Mapperson, Ern Mapperson, Jack Mathews, Lindsay McColl, Jack Morrison, Colin Sinclair, John Trevina, Dennis Yole. 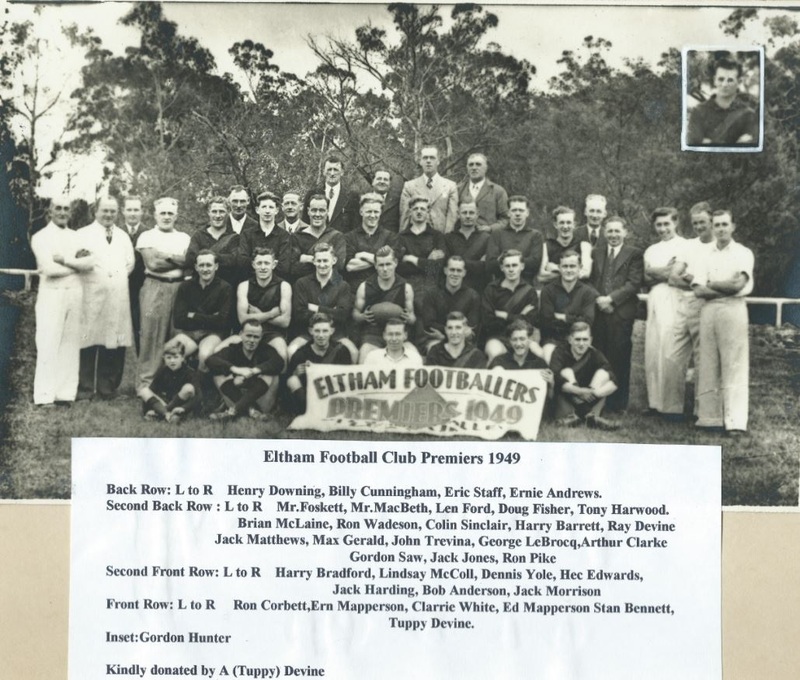 Team: Ron Baker, Jack Copeland, Harold Downing, Neil Durham, Harry Forde, Burt Hart, Wally Ives, George LeBrocq, Ray Martyr, Keith Murray, Jack Newton, Les Parsons, Fred Pitcher, R Smith, W Taylor, Harry Weidlich, Jack West. 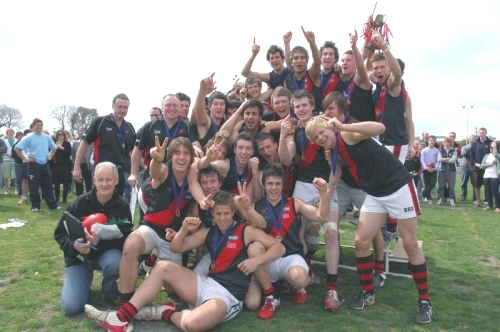 Team: David Borg, Andrew Buckingham, Jamie Cameron, Andrew Clarke, David Collis, Adam Downs, Zennon Eaton, Luke Ferns, Reid Gardam, Craig Haydock, Mick Iddon, Russell Macumber, Leigh Miller, Luke Mitchell, Dean Philpots (c), Grant Pittard, Nick Richardson, Matthew Rogers, Byron Smith, Ken Sparks, Matthew Weisheit, Greg Wilson (c). Team: Robert Barton, John Birthisel, Steven Bode, L Cresp, Michael Davenport, Brian Driscoll, Jim Haines, Andrew Hillier, Frank Mapperson, Michael Marinov, Andrew McFarlane, Ken McMahon, Nick Napolitano, Jeff Skinner, Peter Slacik, Larry Sprong, Wayne Tesch, Phillip Walker, William West. 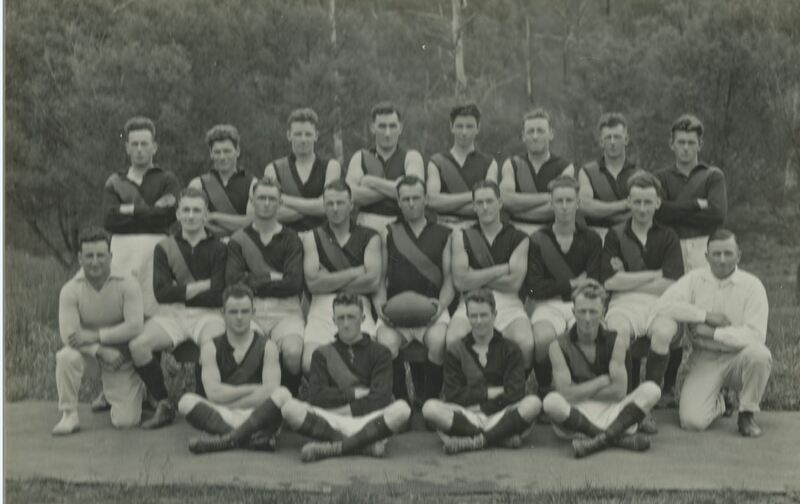 Team: Leigh Arnold, Robert Barton, Derek Bradford, David Brown, Greg Clark, Michael Davenport, Brian Driscoll, D Frenon, Jim Haines, Ron Hocking, Lyndon Langan, Ken McMahon, Robert Morrison, Alan Moyes, Murray Newlands, Terry Rosewall, Ang Serritelli, Frank Traczewski, Alex Walker, William West.